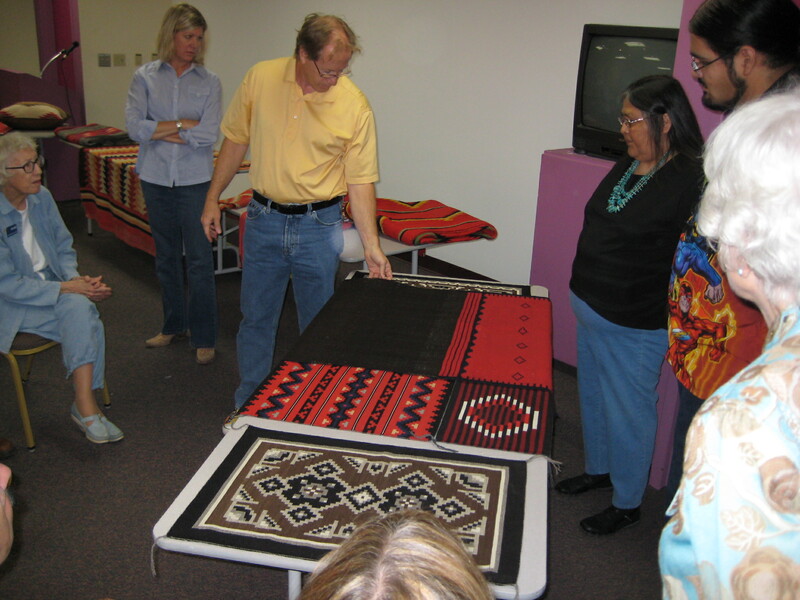 The Tucson Museum of Art and The Arizona Archaeological and Historical Society have partnered to establish the Navajo Textile Study Group. 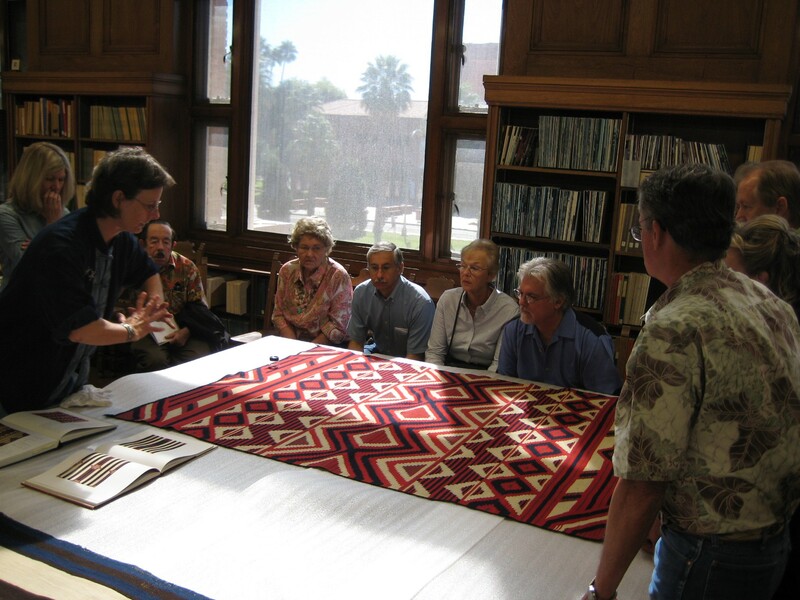 Members from both organization gather to explore and discuss regional rug style and historic trends in style development from examples of finely woven pieces provided by Indian Arts dealers and collectors. 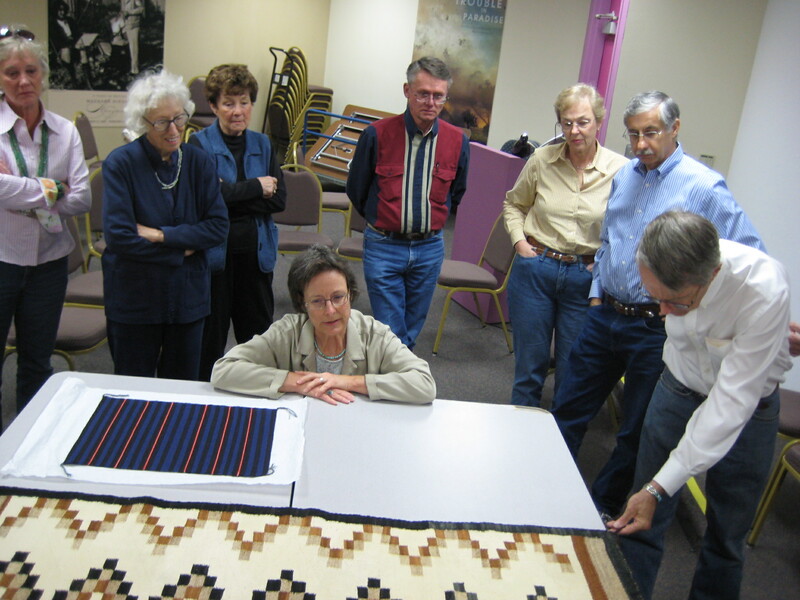 Saturday mornings are selected to meet for discussions or to visit collections every other month. For more information contact Marie Lynn Hunken.